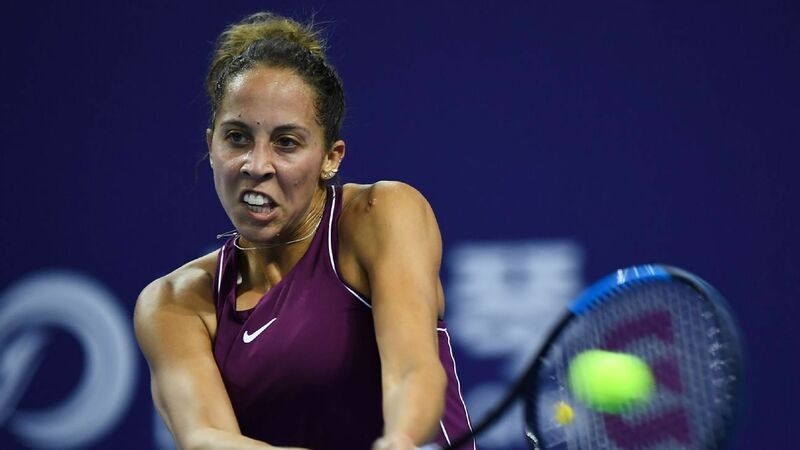 Madison Keys advanced to the semifinals of the WTA Elite Trophy despite losing to Qiang Wang in her final group match on Friday. Chinese No.1 Qiang fought from a set down to win 1-6, 6-3, 6-1 but it wasn’t enough to prevent Keys from topping the Azalea group and joining Garbine Muguruza, Julia Goerges and Ashleigh Barty in the final four. Keys qualified due to a superior pool-stage record, thanks to the American’s straight-sets victory over No.1 seed Daria Kasatkina on Wednesday. Muguruza saved three match points as she defeated No.2 Anastasija Sevastova 6-7(4), 6-2, 7-6(1) to win the Camellia group. Barty also advanced after winning the Orchid group, but only after Caroline Garcia‘s 6-4, 6-4 victory over Aryna Sabalenka denied the No.3 seed a place in the semifinals.